This is a 1902 ad for a Rock Island System Railroad! The size of the ad is approximately 6x9.5inches. 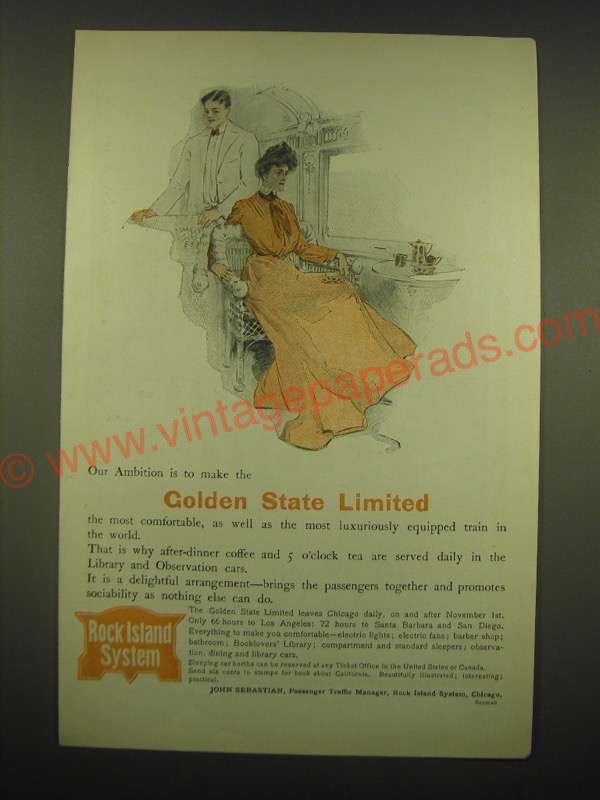 The caption for this ad is 'Our ambition is to make the Golden State Limited the most comfortable, as well as the most luxuriously equipped train in the world' The ad is in good overall condition, with some light wear. This vintage ad would look great framed and displayed! Add it to your collection today!